What if someone is hiding something important from you or you simply want to know if someone is keeping your pictures or other stuff hidden in his instant messaging app, Whatsapp. Even though this does not seem ethical but if you are facing some vulnerability from any person you can use the trick we are going to teach you today in order to check messages, photos, and other stuff in someone’s app. Even though you can directly check that as well but not all people allow you to do that and that is why you need an indirect method for the purpose. 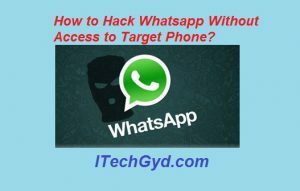 In this guide, I am going to teach you how to hack whatsapp without access to target phone and don’t worry there are not any dangers while trying this method. This is done with the help of any easy online tool which possesses on bugs or malware. 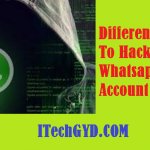 Learn about different ways to hack whatsapp account. Now I am going to show you how to easily do this process. The only reason of this method not working you could be the unavailability of this service in your country otherwise, you are good to go. So, without any further do, let us now begin with this guide. Note: Another thing which you need to do is to root your device for this purpose. There is no other way of doing this except by rooting your phone since rooting unlock the factory settings and then you can do this. Open this link and go to the website where your free online tool is present to do the job. Now you will see a bar where you will need to enter the number of victim whose chats you want to hack. Enter the number and click on ‘continue’. Now the setup will ask you for the verification. Once you click for verification, it will only proceed if this is available for your country. Now you will need to do the verification through a text message or call. After the confirmation, you can get access to all the files you wanted to get. 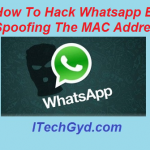 So, this is how you can easily hack whatsapp without access to target phone. If you liked this guide then leave us your feedback. Keep visiting our website for more free guides and hacks. Learn To Hack whatsapp Account Using PC. 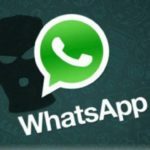 How To Hack Whatsapp Account Using PC? https://itechgyd.com/wp-content/uploads/2017/04/Hack-Whatsapp-Without-Access-to-Target-Phone.jpg 336 527 Faizan Gul https://itechgyd.com/wp-content/uploads/2019/01/itechgyd-logo.png Faizan Gul2017-04-03 17:55:142017-04-23 06:16:07How to Hack Whatsapp Without Access to Target Phone? How To Play PS3 Games on PS4? How to Hack Whatsapp Account without Verification Code?